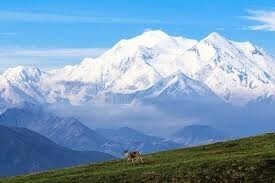 The average rainfall in the tundra every year is 15-25 cm. The plant life in the tundra are bear berry,Labrador tea,and the diamond leaf willow. The plants have adapted to the tundra by growing under a layer of snow. 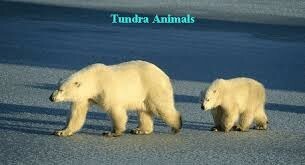 The animals in the tundra are polar bears ,caribou, Arctic fox. They have thick fur to protect them from freezing temperatures.Also They build there homes in the ground.The caribou use their antlers to fight of unwanted enemies. The first in line is a producer or a plant.The bear berry plant is the first in the food chain.